Take a break from the hustle and bustle of Cebu's city life and discover the natural beauty of the Philippine islands on a day trip to Bohol. 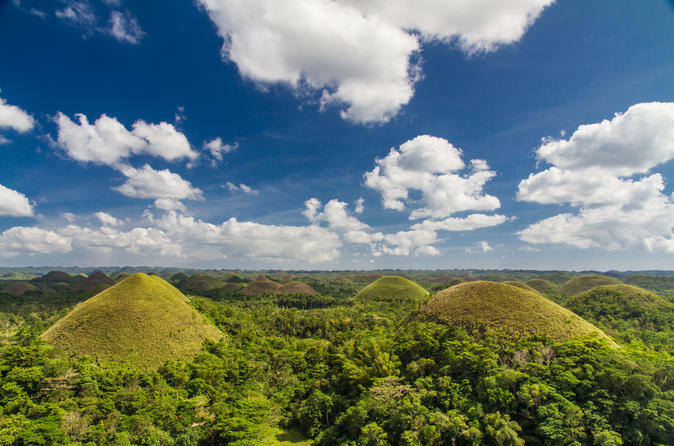 You’ll take a scenic journey around the island’s sights, from mahogany forests to ancient churches and the UNESCO World Heritage-listed Chocolate Hills, shaped like mounds of chocolate. 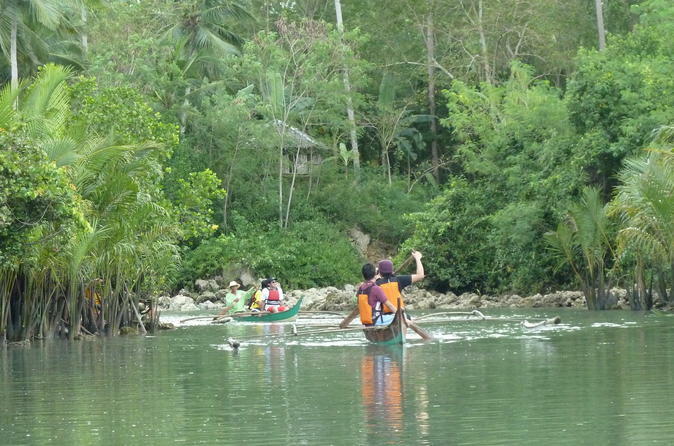 Plus enjoy a relaxing lunch cruise on the Loboc River. 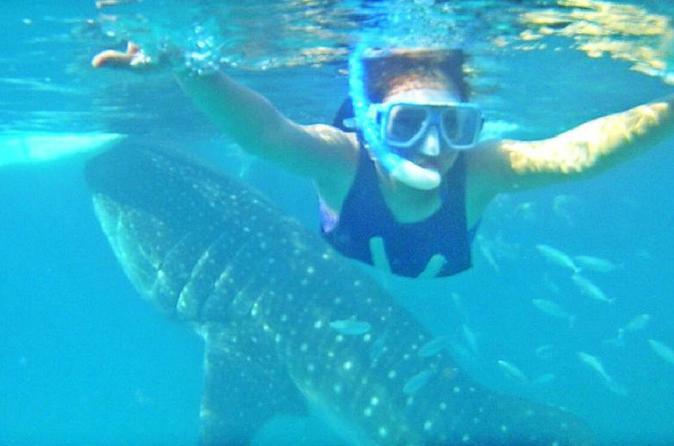 A fun-filled day to meet the gentle whale sharks in Cebu. 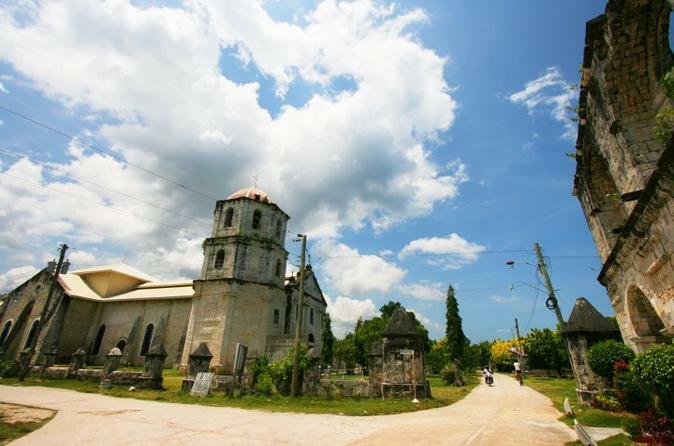 A scenic 3 to 4-hour drive to the southern coast passing by heritage houses, beautiful old churches and the green countryside will bring you to the town of Oslob in an air-conditioned vehicle. 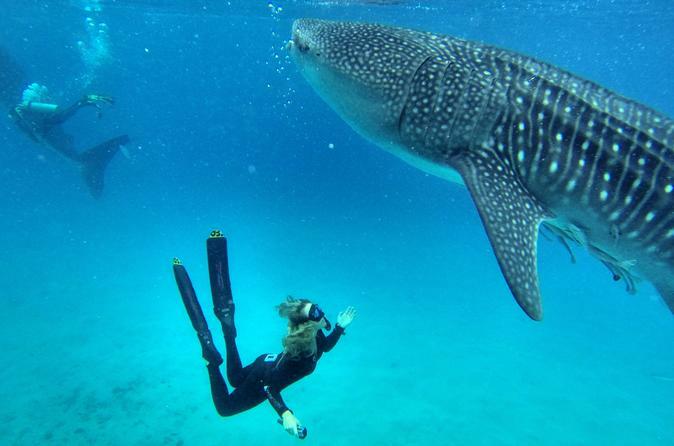 Swim and snorkel with these friendly giants. A seafood lunch by the beach will be served. 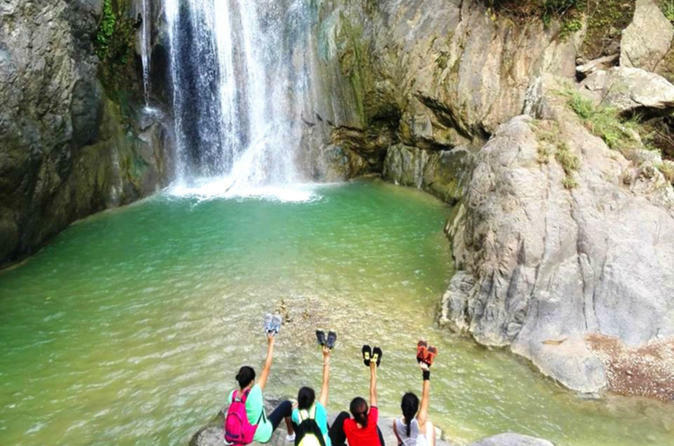 Then stretch your legs with a trek to a nearby waterfall after the encounter. 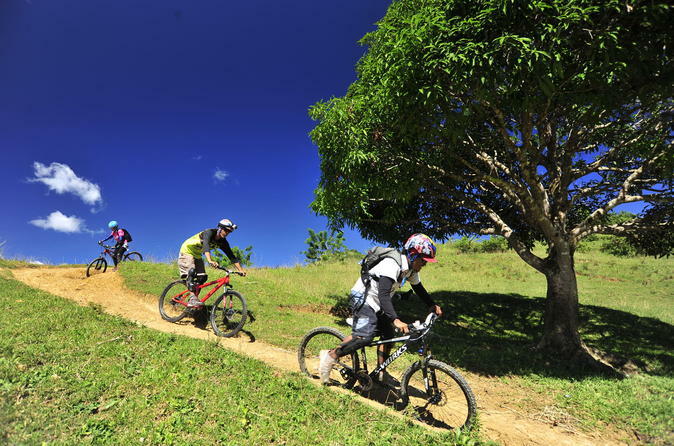 Discover the natural beauty of the Philippines while touring the scenic countryside of Bohol Island. This day trip with an informative guide takes you on a scenic journey around the island, from mahogany forests to historic landmarks and the Chocolate Hills, shaped like mounds of chocolate. 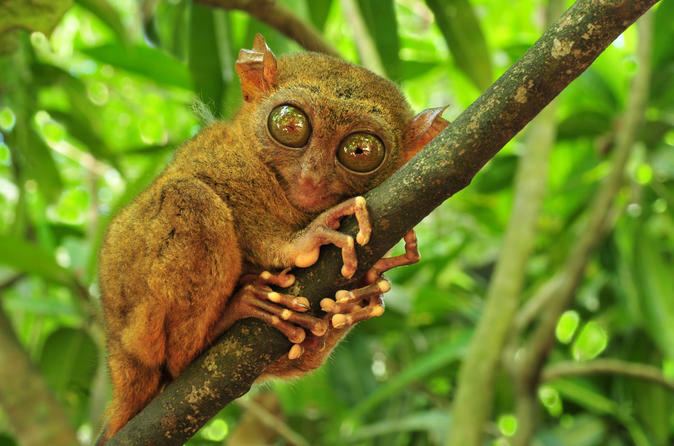 Plus, enjoy a relaxing lunch cruise on the Loboc River, where you’ll have the opportunity to spot indigenous Philippine tarsiers, some of the smallest primates in the world. Touring around Cebu City and Mactan now made easy and inexpensive in a air-conditioned coach bus. Make new friends while on the tour, enjoy the city's historic, religious and cultural sites and savor a delightful lunch buffet. In Cebu City, visit famous sites like the Philippine Taoist Temple, Heritage of Cebu Monument, Mallegan's Cross, Basilica Minore del Santo Nino, and Heritage of Cebu Monument. Mactan Island is a metropolis that has retained a rustic charm which boasts a diverse collection of tourist spots and attractions. 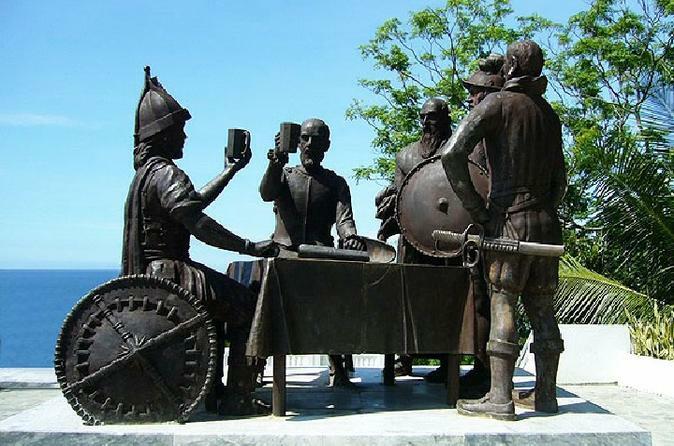 Get to know its rich history with a visit to the Magellan's Shrine and Monument of Lapu-Lapu, a bronze statue erected in remembrance of the first Philippine hero who defeated Spanish soldiers in 1521. Take a tour of the Alegre Guitar Factory and see why Cebu is world famous for its fine handcrafted guitars made by exceptional craftsmen. 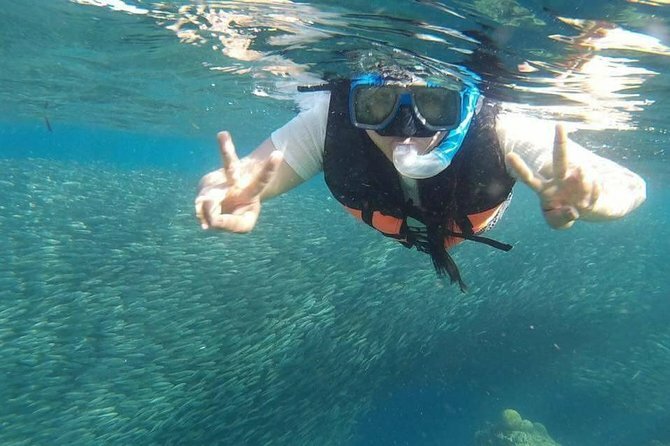 Spend the day snorkeling with tropical fish on an island-hopping excursion from Mactan Island near Cebu. 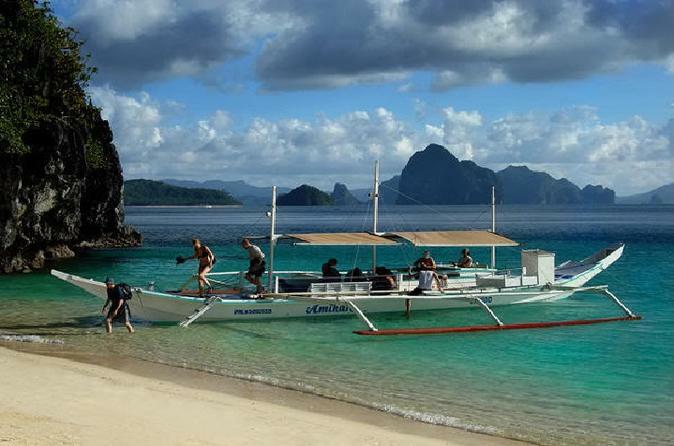 You’ll cruise through the islands in a large motorized canoe called a 'banca,' dive and swim in the protected waters of Hilutungan Marine Reserve, and enjoy a picnic lunch of grilled meat or fish on a white-sand beach. There’s free time for relaxing on the beach, and spectacular views of the island-dotted waters of the Philippine Sea on your banca ride. 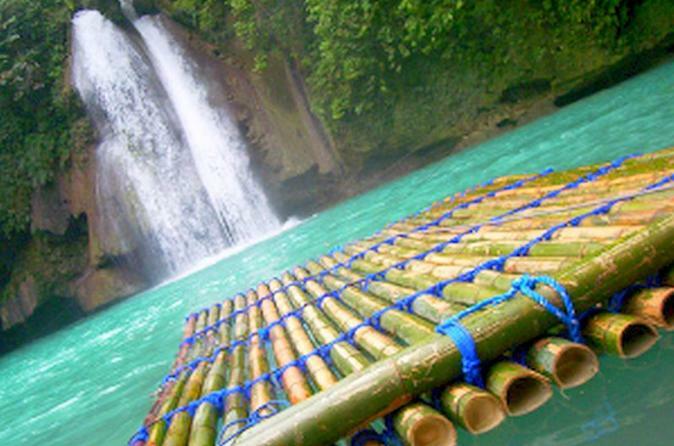 Take an early morning drive southwest of Cebu along picturesque coastlines, heritage churches and Spanish houses and visit the the 98 meter Mantayupan Falls and the refreshing Kawasan Falls. Cebu city hotel pickup is also included on this tour. Touring around Cebu City made easy and inexpensive. Make new friends while on a shared tour, enjoy the city’s historic, religious and cultural sites. 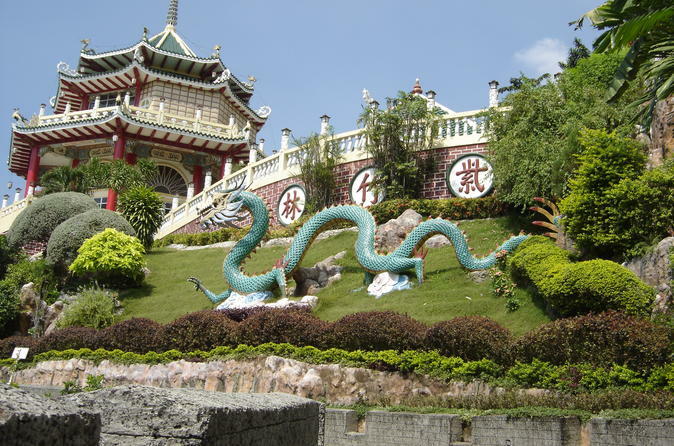 In Cebu City, visit famous sites like the Philippine Taoist Temple, Heritage of Cebu Monument, Mallegan's Cross, Basilica Minore del Santo Nino, and Heritage of Cebu Monument. 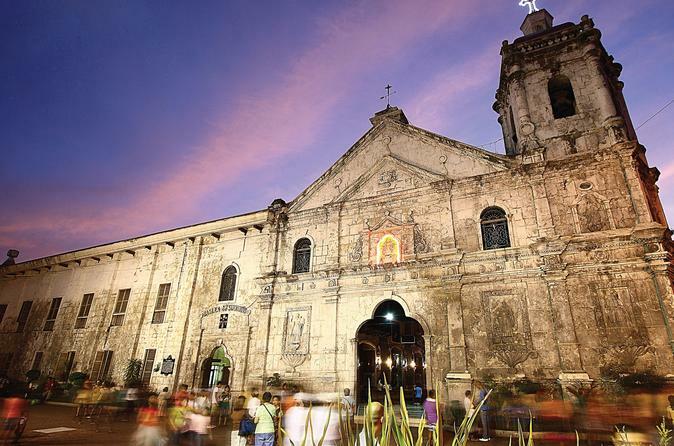 See the top attractions of Cebu on a private 5-hour tour of the oldest city in the Philippines. 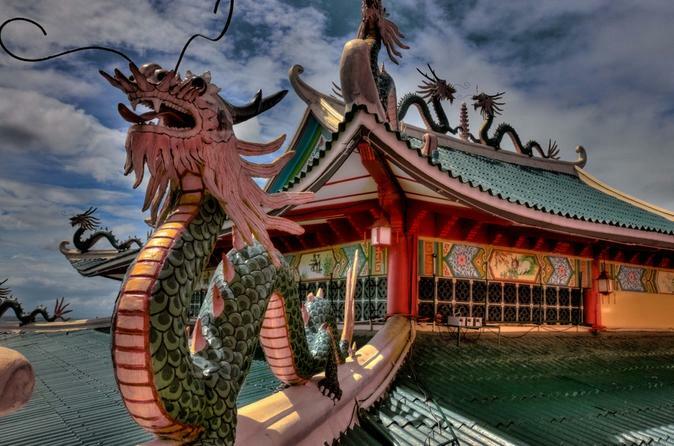 Sights include the Cebu Taoist Temple, Basilica del Santo Nino, Magellan’s Cross, Fort San Pedro, and Casa Gorordo, with commentary from your guide that illuminated the history and culture of Cebu. Includes lunch and private vehicle with hotel pickup and drop-off. Discover Cebu's history and culture on a scenic tour on foot and by horse-drawn carriage. 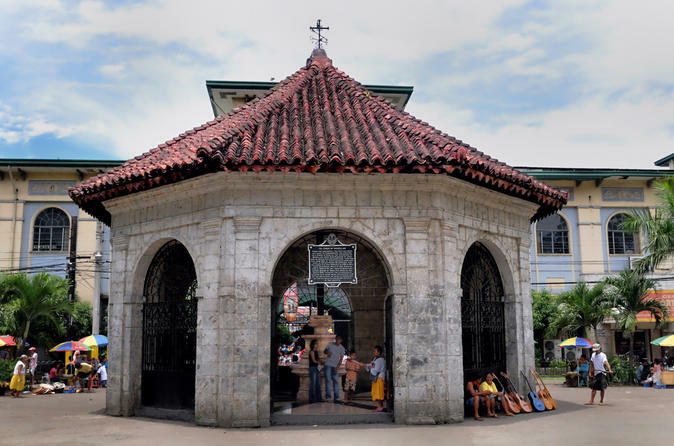 You’ll visit Old Cebu’s heritage sites of Fort San Pedro and Magellan’s Cross, take a guided walking tour around Cebu’s famous basilica and cathedral, and see the town’s lovely old homes. Traveling in a horse-drawn carriage known as a 'calesa,' you’ll also see the sights of Plaza Sugbo and Plaza Parian, and imagine 19th-century life in Old Cebu. Have fun and enjoy the day trip to Bohol with an expert guide who shows you the natural beauty of the Bohol, far from the bustle of Cebu. Relax in air-conditioned comfort as you travel throughout the island, This comprehensive tour into the Bohol countryside features plenty of attractions, ideal for the first-time visitors who want to pack a lot into one day. You’ll visit the Chocolate Hills; see Mahogany trees in the Bohol Man Made forest; get a close-up encounter with a Tarsier, a tiny primate; take a 1 or 2 -hour cruise on the Loboc River; Visit the 2nd Oldest Church in the Philippines; visit the 300kg Python and also the Butterfly Garden and visit several historical sites. Enjoy a buffet lunch at a floating restaurant and hear commentary from your informative guide. 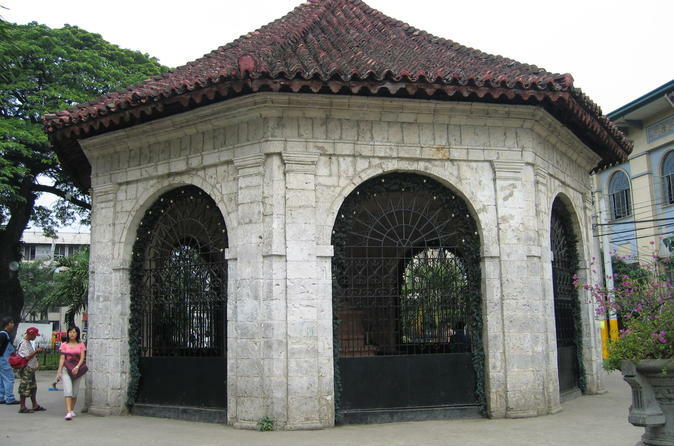 This afternoon Cebu city tour includes guide and visits to some of Cebu's most famous landmarks. 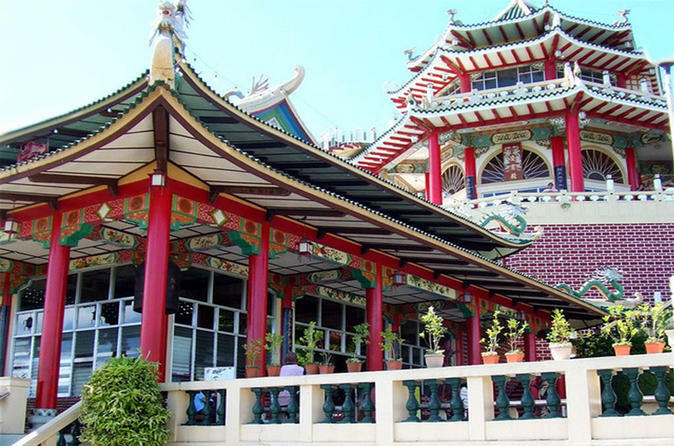 View important areas such as Taoist Temple and Cebu Provincial Capitol Hall. See the sights in one fun-filled trip! 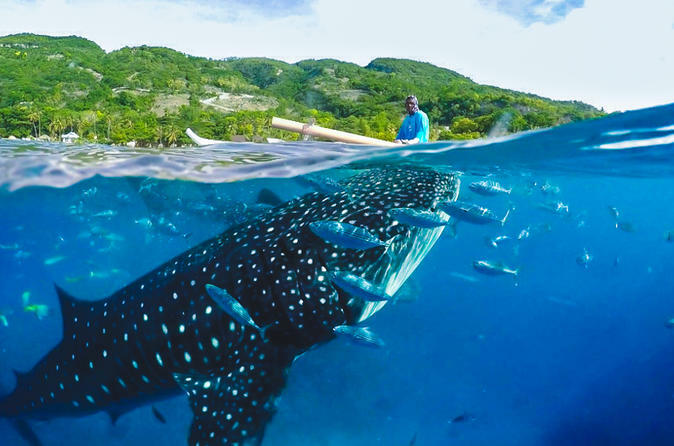 The Beauty of Cebu strengthens when one municipality in the South captures the interest of one's extraordinary adventure from the wonders of nature, history and an ultimate experience with the Gentle Giants,The Whale Sharks or Butanding what locals called. The town of Oslob, Cebu is 117 Kilometers from the City. 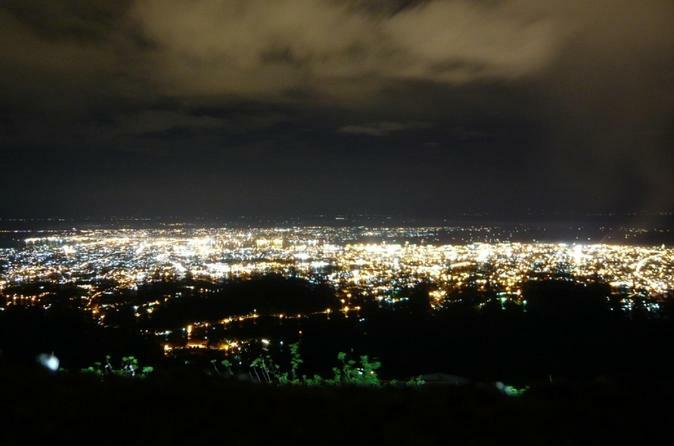 The tour will take you to the south countryside for a breathtaking view and a glimpse of its rich culture and heritage. 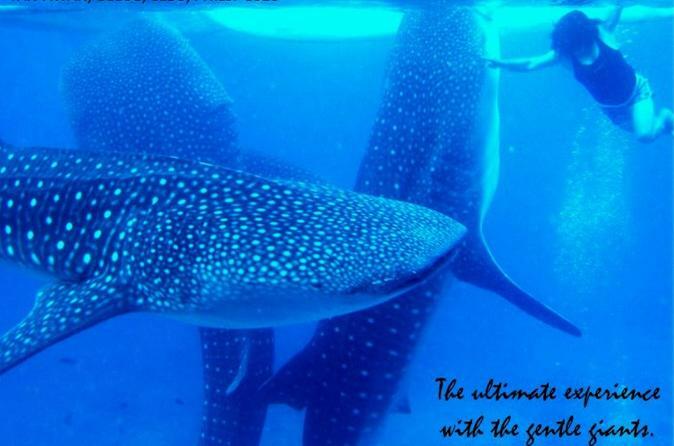 Swim with the whale sharks and take on this exhilarating experience with the gentle giants. Join the private half-day tour during your holiday in Cebu and visit the historical places and notable landmarks with the experienced English-speaking guide. 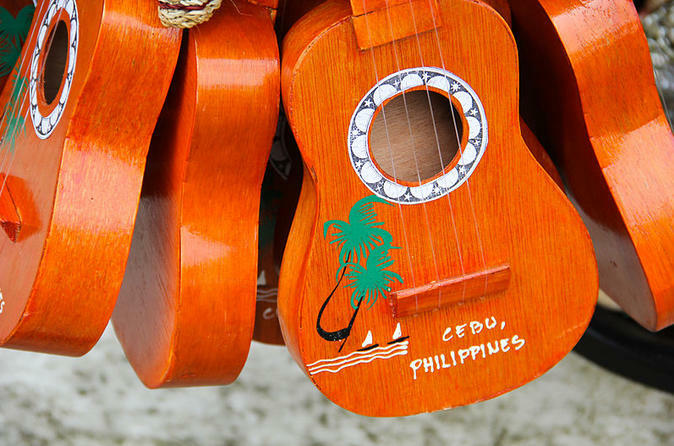 Explore the Cebu city and understand other cultures while strolling along the streets. Hotel/port transportation is included. 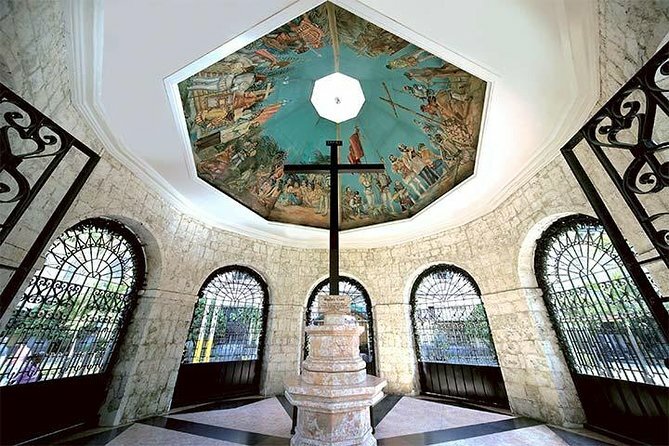 Tour Cebu's rich past with century old churches, the iconic Magellan Cross and Fort San Pedro. Drive thru the country's oldest Colon Street, Cebu Heritage Monument that describes the eventful saga of Cebu's history and the scenic Taoist Temple where you can have your fortunes told. Moalboal Pescador Island Hopping Private Day Tour is located 98 kilometers south of Cebu City. It’s one of the best- known tourist destination because of its amazing white sand beaches and marine species. 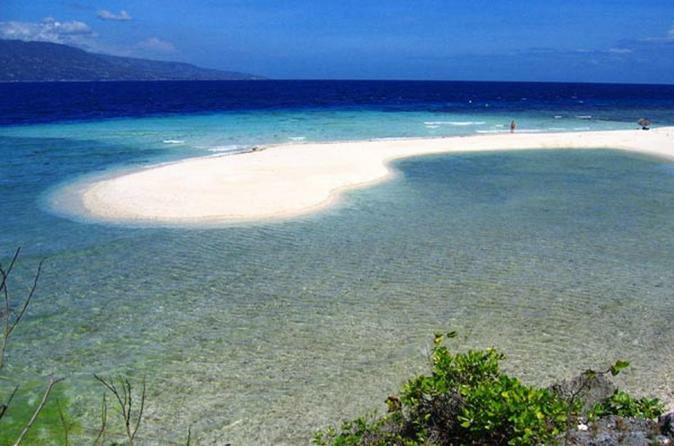 Pescador Island is one of the most popular tourist spots in Maoalboal. 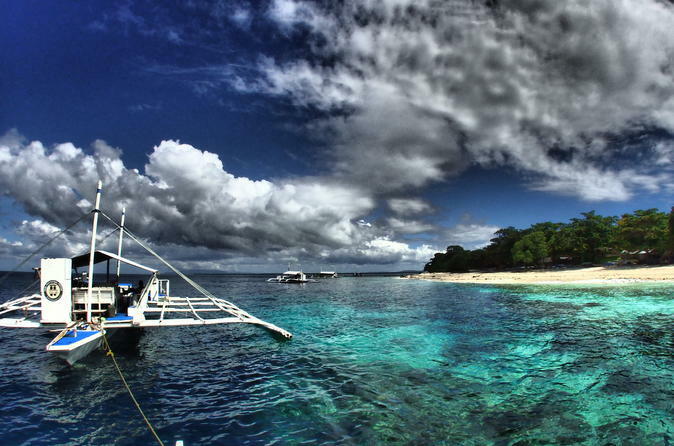 The best activities that you can do in Pescador Island include diving, snorkeling and island hopping. This is also the best spot to witness the island’s marine life. 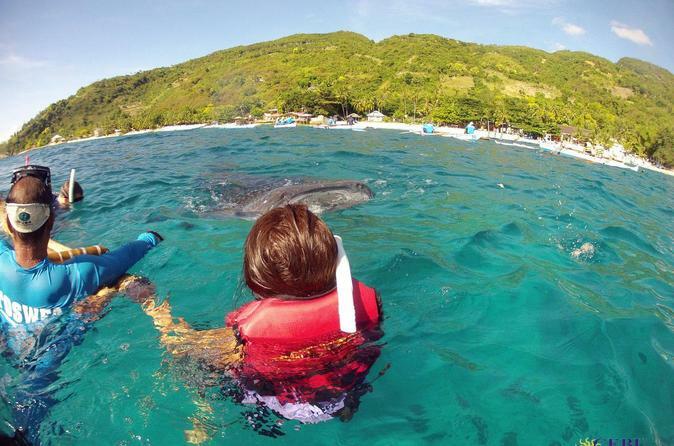 Dolphins are also one of the highlights for island hopping experience. Sardines run is one of the reasons why tourists are dying to visit the island and take a look at what other marine sports they offer. Well, it is indeed a satisfying experience for those who visited it. Aside from the magnificent coral formations and underwater species, they also experience how to appreciate marine life and activities that will not harm these species. Maximum group size is 12. 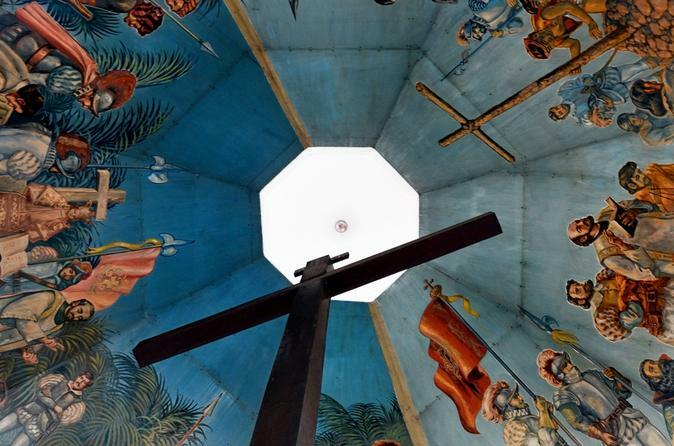 Discover Cebu Cultural and History by taking this private Cebu and Lapu-Lapu day tour. 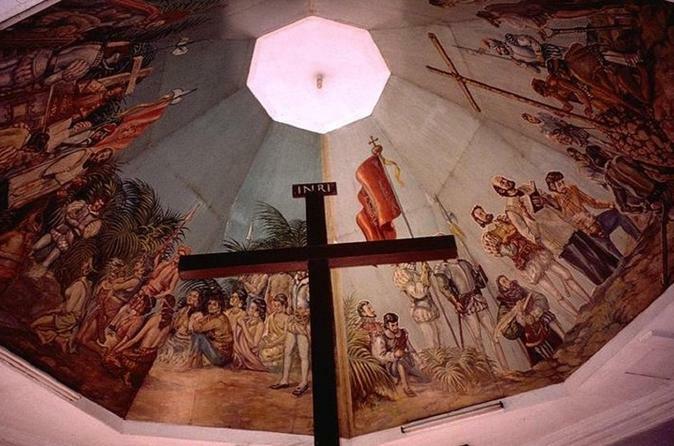 Learn about the history of Philippines at Fort San Pedro, Museo Sugbo and Mactan Shrine, explore the amazing and beautiful architecture at Basilica del Sto Nino Church, Magellan’s Cross and Cebu Metropolitan Cathedral. The price is per group/car and hotel round-trip transfer is included. 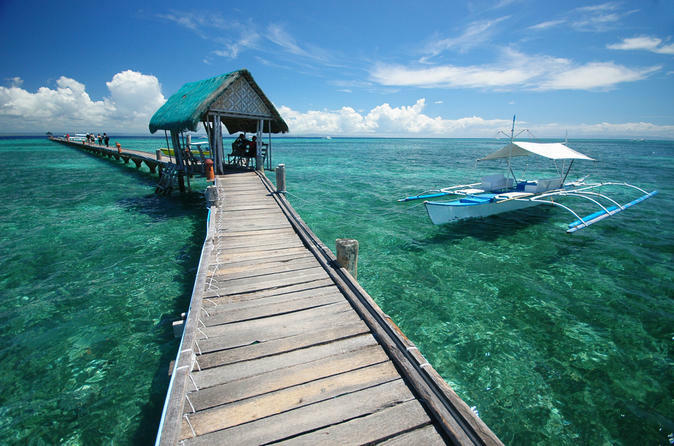 Experience some of the most varied diving in the Philippines during your visit to Malapascua Island in Cebu. 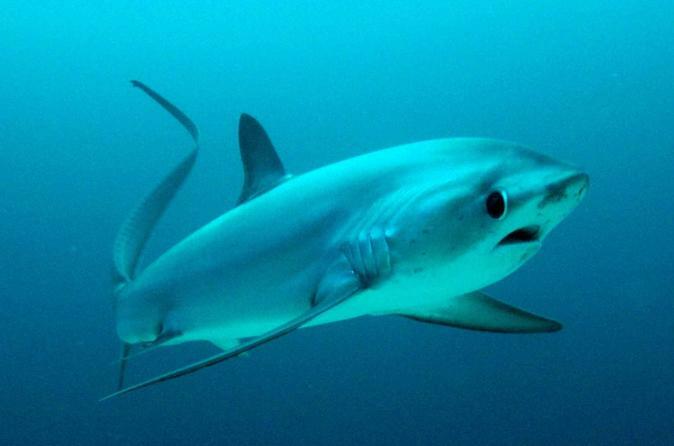 Get an early start for the chance to view thresher sharks on an early morning dive. Afterward, have your choice of two daytime dives where you can see colorful marine life and shipwrecks. Includes three dives, lunch, guide, tanks and weights, and optional gear rental. Please note: You need to be saying on Malapascua Island itself to book this package. Your adventure begins as our guide escorts you on to a motorized outrigger banca. You are then taken to discover the underwater jewels of Cebu's bluewaters. In the course of the 6 hour tour, we drop an anchor to give you an opportunity to swim, snorkel, and enjoy Cebu's underwater attractions. Afterwards, we move on to a nearby island for a sumptuous lunch. Before returning to the mainland, we make a brief stop on another island to witness the simple lifestyle of fisher folks firsthand. Have a leisurely drive through picturesque rural roads outskirt of Cebu City and be refreshed with the pastoral scenery on the way. 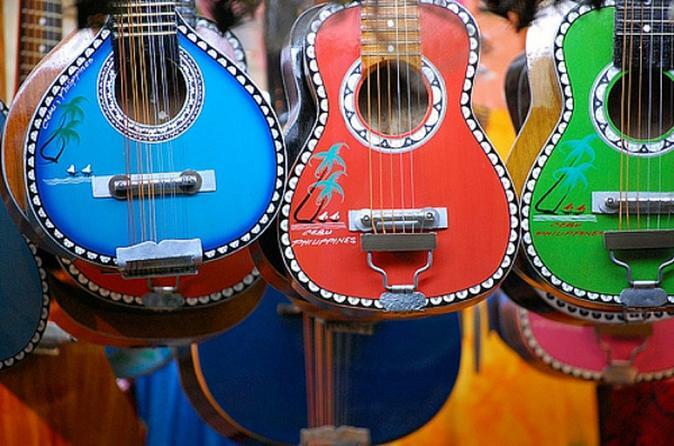 Soak up in Philippine culture with visits to centuries old churches and colorful markets. Final stop is Carcar town, alive in a blend of Spanish Architecture seen in ancestral homes and local artistry in crafts like shoe making, basket weaving and delicacy cooking. Experience the true and genuine rural life with a water buffalo”carabao” ride, a tricycle ride, a drink of fresh coconut wine and basket weaving. Olango Island is a natural sanctuary for the largest concentration of migratory birds in the country. At least 97 species can be seen most often during the months of September to May. 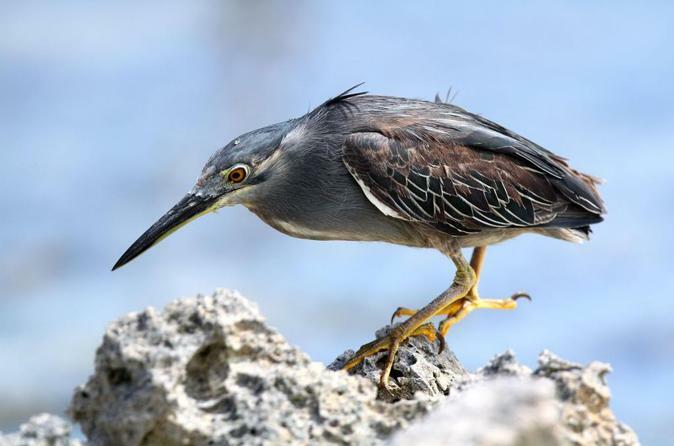 Cruise to a nearby marine sanctuary for snorkeling then go bird-watching. Livelihood demonstrations like cassava/bread and local coconut wine making will enrich your Cebu adventure further. A picnic lunch will be served on the island. Head up to the Tops Lookout to watch the sunset over Cebu and have dinner at a mountainside restaurant with sweeping views. 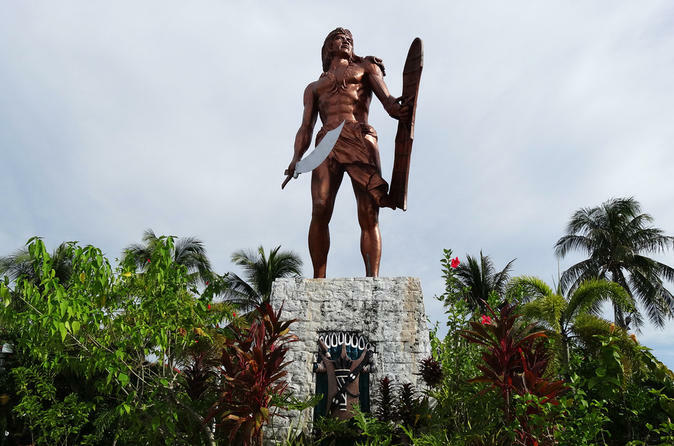 Your tour includes round-trip transportation from Mactan or Cebu city, dinner, and stops for photo ops along the way. Explore Cebu's rich arts and crafts history in this half-day tour. Led by an English-speaking local guide, you will visit factories producing fashion accessories, traditional guitars, and local fruit. 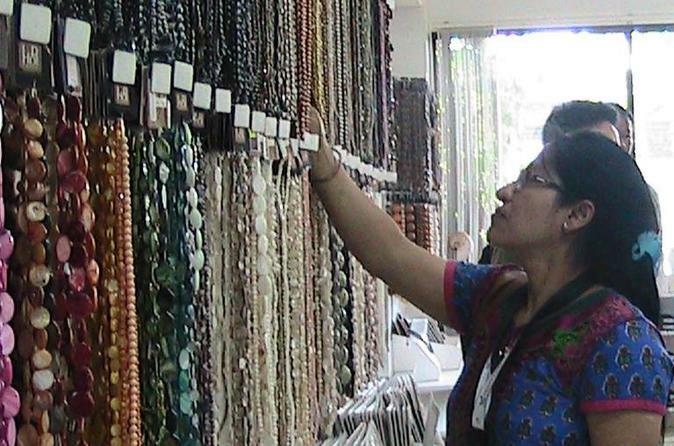 Then try your hand at making your own jewelry using natural materials such as shells, wood, and coconut. There are two departure options for this tour – 7am or 1pm. Light refreshments are provided. Join this private half-day tour to explore and learn the history of Cebu, the oldest city in Philippines. This small-group tour is cater for maximum 6 person for more personalized experience. You will be picked up from your hotel located within Cebu city area around 9am in the morning. Please wear comfortable walking shoes as moderate amount of walking is involved. Admire the well-preserved Cebu’s architectural and cultural heritage on a walking tour led by a professional English speaking guide. In this 4-hour tour, you will see landmark sites such as an old fort, stone churches, sacred treasures, museums, and ancestral homes. Leave the busy city behind for a full-day tour to Sumilon Island. Explore this beautiful paradise, which features white-sand beaches, crystal clear water, and great spots for snorkeling and swimming. Includes a delicious lunch and round-trip transportation from hotels in Cebu city and Mactan. The mountains of Busay beckons for you to take the scenic route: flower gardens featuring plants such as roses, chrysanthemums, anthuriums, and ciliosa among others, and a fruit garden with guavas and mangoes. Feast your eyes on a wide expanse of blues and greens: blue skies, blue seas and the green mountains. Naturally inspiring! This day trip includes hotel transfers and lunch. This 4-hour tour allows you to discover the charm of Cebu's major landmarks and churches, in addition to the fantastic shopping. Take the time to marvel at the expert craftsmanship that has made Cebu world renowned. Get to know the city more through its fantastic arts and crafts. Hotel pickup and drop-off included for Cebu City Hotels and Mactan Resort. This is a personalized diving package in Bohol that includes business class ferry tickets from Cebu, beach resort accommodations with daily breakfast and free Wi-Fi, and diving as well as lunch and refreshments. 4 days of diving and 5 nights of resort accommodations are included. Spend the day snorkeling with tropical fish on an island-hopping excursion. 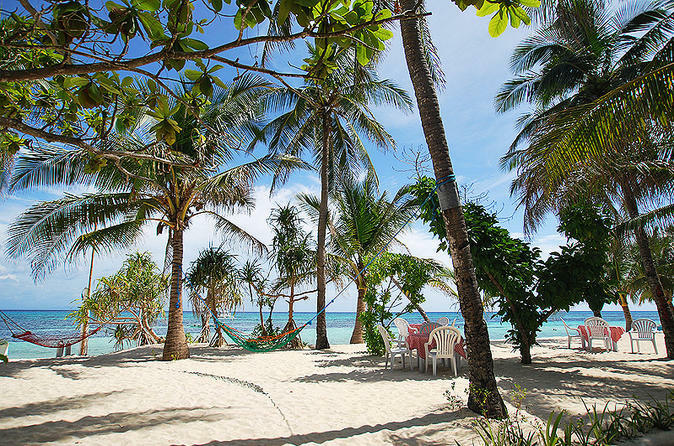 You’ll cruise through the islands in a large motorized canoe called a 'banca,' dive and swim in the protected waters of Hilutungan Marine Reserve, and enjoy a picnic lunch of grilled meat or fish on a white-sand beach. There’s free time for relaxing on the beach, and spectacular views of the island-dotted waters of the Philippine Sea on your banca ride. Upon 100 percent encounter with the whale shark, you have 30 minutes to enjoy snorkeling with them and minimum of 4 meters distance. Location is Tan-awan Oslob and from Cebu City it has 3 hours drive. Our guide will be preparing everything like towels, shampoo, mask and snorkel and the camera. 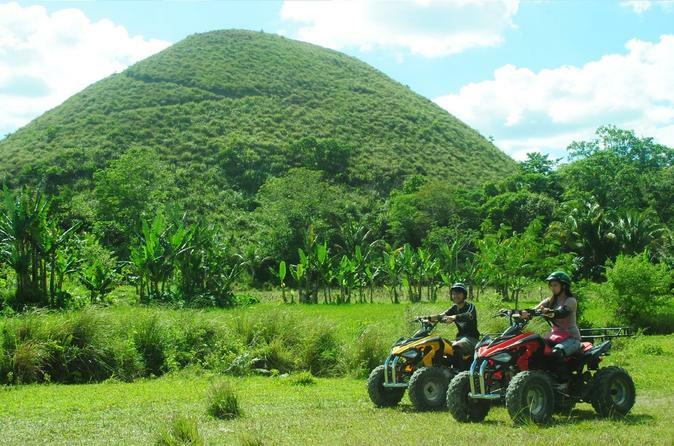 Explore the island of Cebu in this adrenaline-pumping, ultimately fun activity! Satisfy your cravings for great scenery and fresh air as we trail through the mountains and shores of Cebu and its neighboring islands. Come and join us to adventure the underwater world on this 2 days Freediving course in Cebu. The course gives you the basis knowledge to partake in Freediving to depths of 66 feet (20 metres) in the most relaxed and safest manner possible. Mt. Kan-Irag has given every outdoor enthusiast and adventurer alike an ounce of extra happiness amid the city's hustle and bustle. The Budlaan Trail is a lone witness to the ever growing number of people who wants to live an active life and be one with nature. Explore the Philippine´s oldest city on this exciting half-day city tour. Founded in 1521, Cebu City´s recent development projects have given rise to its reputation as the city with the fastest-growing economy in the Philippines. See all the major landmarks that put this city on the map. With great beginnings from the Freediver course, the next step is to perfect your Frenzel equalization and freefall your way to spectacular depths in style and with ease. With the guidance of your freediving instructor and the variety of marine life found underwater, your freediving adventure is sure to be a safe and memorable experience. This 6-hour guided tour covers the sights of Cebu city and Mactan Island. 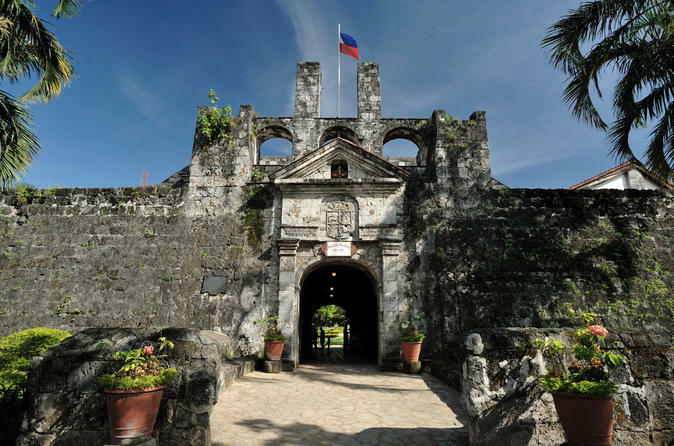 A guide takes you on a tour of the historical and beautiful province of Cebu, including Fort San Pedro, the Basilica Minore del Santo Nino, and the Lapu-Lapu Statue. Lunch or dinner will be served at a local restaurant.